German automaker Daimler believes that conventional electric vehicles, those equipped with lithium-ion batteries, will end up being the most popular clean vehicles in the world. Daimler CEO Dieter Zetsche believes that electric vehicles have more potential than those using hybrid technology or hydrogen fuel cells. According to the automaker, there is no proof that hydrogen will be available in an affordable manner, making fuel cell vehicles less viable than other forms of clean vehicles that are already available on the commercial market. While Daimler may not believe that fuel cell vehicles will find success, the automaker will continue developing vehicles that use fuel cell technology. In the past, Daimler had shown strong support for hydrogen fuel cells, believing that this technology holds some promise. Like other automakers, however, Daimler believes that the lack of a hydrogen infrastructure will limit the capabilities of fuel cell vehicles. Electric vehicles already have a well established infrastructure that they can rely on for the energy they need. Daimler is expecting that new technology will make electric vehicles even more popular than they already are. Better battery technology can allow vehicles to travel longer distances before needing to recharge. Fast charging technology could also ensure that these vehicles will not long take several hours to charge, making them more attractive to consumers that must travel frequently. With the aid of technological advancements, Daimler hopes that more than 1 million vehicles will be on German roads by 2020. 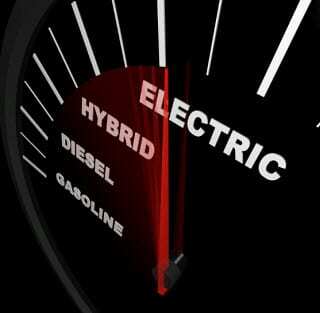 Currently, several automakers are working to develop and commercialize fuel cell vehicles. These companies are also investing in the development of a comprehensive hydrogen fuel infrastructure. Electric vehicles benefit from an established infrastructure, and Daimler believes this will allow these vehicles to win out over other vehicles that make use of clean technology. Who cares what Daimler thinks? It is Not one or the other!!! Why not both?? ?